We have tried to make our site as informative as possible for our readers. We hope this helps you get a better understanding of what products and solutions are available for your pesky pigeon and bird control problems. We feel that a knowledgeable customer is better equipped to see the quality of our work and then make a more informed decision. 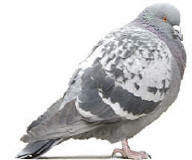 Factoid: A single pigeon will dispenses 25 lb's of excrement a year, how many pigeons do you have living on your roof or hanging around your property? In Tucson, Casa Grande, Kingman, Bullhead City, Laughlin, Lake Havasu, Flagstaff, Henderson and Las Vegas Nevada commercial bird control projects only. 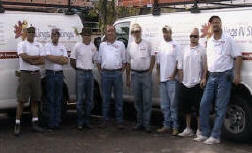 We want to be your pigeon control or bird control or Bee Removal Specialists. We are a family owned and operated pigeon control and bird control company that has spent over 12 years specializing in providing Humane, Effective, Discrete and Guaranteed pigeon control and bird control solutions to 4500+ homes and 100's of businesses. It takes an experienced specialist to do the job right the 1st time, so that what ever pigeon control or bird control or exclusion type product is installed on your home or business in Paradise Valley will be effective and last for many years to come. We are specialists and have excluded pigeons and other birds from many unusual types of structures like freeway underpasses, gas station canopies, cooling towers, billboards, parking garages, casinos, libraries, multi-story buildings, warehouses, hangars, hospitals and many other structures where pigeons and other pest birds had become a problem be it a health issue, building image problem or a liability and hazard problem with slip and falls hazards. While pigeon control and bird control in Paradise Valley Arizona is associated with the pest control industry controlling pigeons and controlling other pest birds in Paradise Valley and throughout Arizona requires completely different tools, methods, equipment and knowledge than pest control services and is very different than controlling household pests in Paradise Valley like ants, crickets, roaches or termites. Would you hire a dentist to fix your car? Then why hire a bug guy to fix your pesky bird problems! As the hands on owner of Arizona Wings N' Stings LLC, I should know how different it is. After owning my own pest control company in Arizona for 16 years and then selling it to one of the largest pest management companies in the world in order to spend all of our time doing pigeon and bird control for all kinds of buildings and structures in Arizona and Nevada. Training & Experience means "We do the job right, the 1st time"
Big job or Small job, We Can Do It All. Contact Arizona Wings N' Stings today to see about scheduling a free inspection of your property in Paradise Valley Arizona and see how we can help you stop all the noise and associated mess pigeons and birds create as well as the problems of possible slip & fall dangers or health hazards associated with pest birds like pigeons, sparrows and starlings that may be roosting or nesting on your home or business in Paradise Valley Arizona.